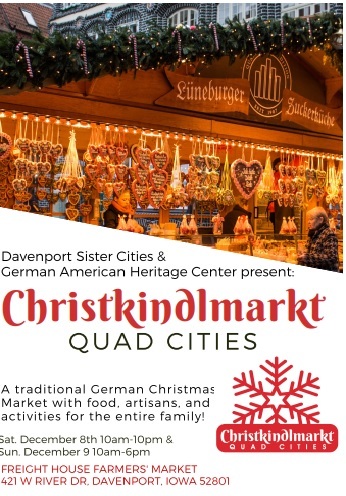 A traditional German Christmas Market with food, artisans, and activities for the entire family! 421 W RIVER DR, DAVENPORT, IOWA 52801. Be sure to visit for all your Christmas needs!